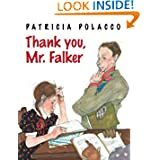 When I subbed last week I was pleased to be re-introduced to the books of author and artist Patricia Polacco. I love Ms. Polacco's wonderful stories and amazing artwork. 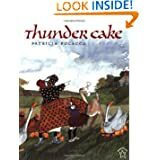 "Grandma consoles her frightened granddaughter by telling her that the dark clouds of the impending storm are nothing more than the ingredients for a Thunder Cake." "Naomi Vlecke lives with her farming family in an Amish community in Pennsylvania. The Amish first came to Pennsylvania in the early 1700s, and to this day preserve a religious and "plain" life-style. As part of her household chores, Naomi looks after the chickens with her little sister, Ruth." "Babushka, known for her exquisite hand-painted eggs, finds Rechenka, a wounded goose, and takes her home. When she's ready to try her wings again, Rechenka accidentally breaks all of Babushka's lovingly crafted eggs. But the next morning Babushka awakens to a miraculous surprise." The Bee Tree, a wonderful story involving much of the village chasing bees! 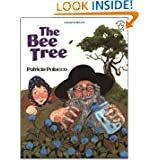 "When Mary Ellen gets bored with her reading, Grandpa knows a hunt for a bee tree is just what she needs. Half the town joins the exciting chase, but it's not until everyone returns home that Mary Ellen makes a discovery of her own: Sometimes, even the sweetest of things must be worked for." 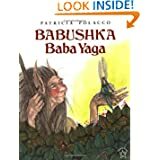 I read Babuska Baba Yaga, about the longing to be loved and a part of a family: Baba Yaga is a witch famous throughout Russia for eating children, but this Babushka Baba Yaga is a lonely old woman who just wants a grandchild to love. "When Trisha starts school, she can't wait to learn how to read, but the letters just get jumbled up. She hates being different, and begins to believe her classmates when they call her a dummy. Then, in fifth grade, Mr. Falker changes everything. He sees through her sadness to the gifted artist she really is. And when he discovers that she can't read, he helps her prove to herself that she can - and will!" " We will make a quilt to help us always remember home," Anna's mother said. "It will be like heaving the family in backhome Russia dance around us at night. And so it was. From a basket of old clothes, Anna's babushka, Uncle Vladimir's shirt, Aunt Havalah's nightdress and an apron of Aunt Natasha's become The Keeping Quilt, passed along from mother to daughter for almost a century. For four generations the quilt is a Sabbath tablecloth, a wedding canopy, and a blanket that welcomes babies warmly into the world. 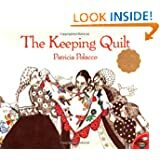 In strongly moving pictures that are as heartwarming as they are real, patricia Polacco tells the story of her own family, and the quilt that remains a symbol of their enduring love and faith." "Tricia can't stand her rotten redheaded older brother Richie, who cain do everything better than she can. So when her grandmother tells her a wish made on a shooting star will come true, she knows exactly what to wish for -- to be able to do something, anything, better than Richie. When a traveling carnival comes to town, Tricia decides what that something will be -- she'll ride the merry-go-round longer than Richie. And that's how she finds out just what wishes -- and rotten redheaded older brothers -- can really do." 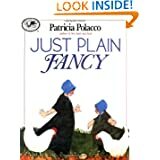 "Born Patricia Ann Barber in Lansing, Michigan, to parents of Russian and Ukrainian descent on one side and Irish on the other, Patricia Polacco grew up in both California and Michigan. Her school year was spent in Oakland, California, and summers in her beloved Michigan. She describes her family members as marvelous storytellers. "My fondest memories are of sitting around a stove or open fire, eating apples and popping corn while listening to the old ones tell glorious stories about their homeland and the past. We are tenacious traditionalists and sentimentalists.... With each retelling our stories gain a little more Umph!" Studying in the United States and Australia, Patricia Polacco has earned an M.F.A. and a Ph. D. in art history, specializing in Russian and Greek painting, and iconographic history. She is a museum consultant on the restoration of icons. 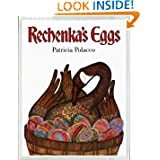 As a participant in many citizen exchange programs for writers and illustrators, Patricia Polacco has traveled extensively in Russia as well as other former Soviet republics. She continues to support programs that encourage Russo-American friendships and understanding. 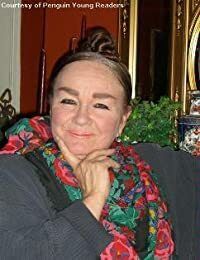 She is also deeply involved in inner-city projects here in the U.S. that promote the peaceful resolution of conflict and encourage art and literacy programs.The mother of a grown son and a daughter, Patricia Polacco currently resides in Michigan, where she has a glorious old farm that was built during the time of Lincoln." 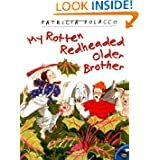 Tags: Patricia Polacco, art, family heritage, personal stories, children's books, Russia, farm life, family life, children, brothers, sisters.